Topics in AMA_B include signals, information, patterns, data acquisition, transmission, processing, classification, etc. 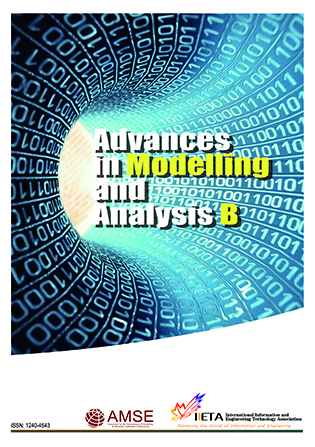 Advances in Modelling and Analysis B (AMA_B) is a quarterly international journal. This is an open access journal series, which means that all content is freely available without charge. Users are allowed to read, download, copy, distribute, print, search, or link to the full texts of the articles in this journal without asking prior permission from the publisher or the author. Inquiries and manuscript submissions may be sent to: editor.ama@iieta.org. a) Accept: the paper will be published without any revision. b) Minor revision: the author will be required to revise the paper according to reviewers’ comments and then return the revised paper to the editor. The paper will be accepted at the editor's discretion. c) Major revision: the author will be required to significantly revise the paper according to reviewers’ comments and then return the revised paper to the editor. The paper will then undergo another, final round of refereeing. d) Reject: the paper will not be published. Upon acceptance, the author will receive an acceptance letter sent by the editor-in-chief or managing editor. We adhere strongly to the highest ethical standards of academic integrity, and fully expect the same from all of our contributing authors. Any paper containing plagiarism seriously hinders us from our goal of maintaining high levels of quality, uniqueness, and innovation. The journal is published quarterly in the last week of each March, June, September and December, with four regular issues (not including special issues) and one volume per year.